Daffodils announce the beginning of Spring and Easter... at a recent Private Class, this beautiful card was a HIT! 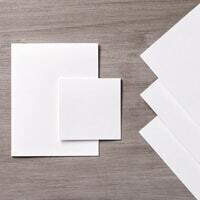 See how easy it is to take your project up a notch with a few little Fussy Cuts of our Paper Snips. 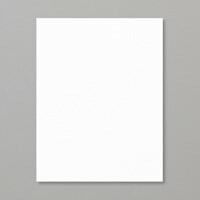 Celebrate the season, Easter being early this year, with a fresh and beautiful handmade card. Then JOIN US with this You're Inspiring Facebook LIVE card making class, (Thursday, March 27th @ Facebook.com/GettingCrafty.net ) you can even order the class to be sent to your home before hand! Enjoy the Easter Remarkable Blog Hop as other demonstrators celebrate this amazing holiday. I love how an easy step or two can take your project up a notch. 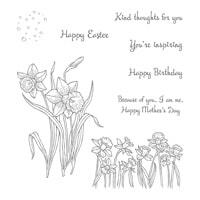 ~ Stamping the Whisper White card stock (4" x 2-3/4") with the You're Inspiring set - I like to use the greeting first, like this Happy Easter in the Old Olive ink. Stamping the Daffodils in the Black Archival ink pad after helps to frame it. ~ Stamp the Daffodils again, just the top half, on a spare sheet of Whisper White card stock. ~ Watercolor, with our Aqua Painters, the flowers in with Daffodil Delight ink and Old Olive Ink, coloring only the spare blooms with the Daffodil Delight ink. 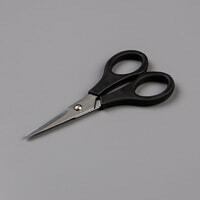 ~ Fussy Cut (cut out) our spare blooms with our Paper Snips. 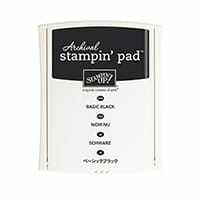 ~ Adhere to the full stamped image with Stampin' Dimensional adhesive for a simple but WOW pop. 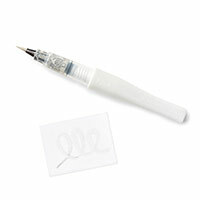 ~ Add sparkle with our Wink of Stella Clear Glitter Brush, rolling a few of the leaves for an additional level of depth. 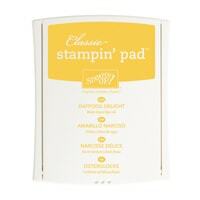 ~ Run the edges of the rectangle in the Daffodil Delight ink pad for an imaginary framed look. 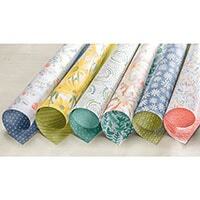 ~ Adhere over the abstract, but so beautiful, Delightful Daisy Designer Series Paper (such a fabulous Spring look!!) 4" x 5-1/4". 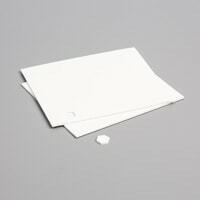 ~ Our Thick Whisper White card stock is a great card base too! Spring is HERE and Easter is right around the corner... planning my life around our holidays, family events, work and homeschool... I always look forward to one of my favorite holidays, Easter. My Nanna used to make my birthday and Easter combined when they were close, so I have such fond memories of times with my cousins, sisters, grandparents, Uncle and Aunts... so as we've aged and moved apart, it holds an extra special place in my heart. Have YOU heard?? I'm alllll about Celebrating! Every Day of the year is worthy of a celebration and they have multiple holidays in most cases! My plan is to Celebrate with YOU for the Next 365 Days!! If YOU Comment Below (in this blog post and the daily posts for the 365 days of this fun tour of celebrations!!) I will draw a name - daily - to send a handmade card(picked within two days of the blog post). That is 365 cards being mailed out! Squeee!! 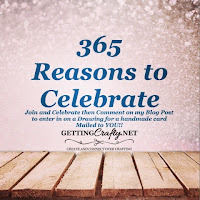 So JOIN US Every Day for the New 365 Reasons to Celebrate fun tour on my blog! What does Easter and Spring bring to your mind? Do you remember the fancy church dresses and new shoes? I grew up with family who were Pastors, Elders and we all seemed to have a job in church.. so Easter Sunday was extra fun as we worked to bless others. Missing my family.. I hope that we, this year, can join my cousin who pastors the church my Grandfather helped to build over 80 years ago... 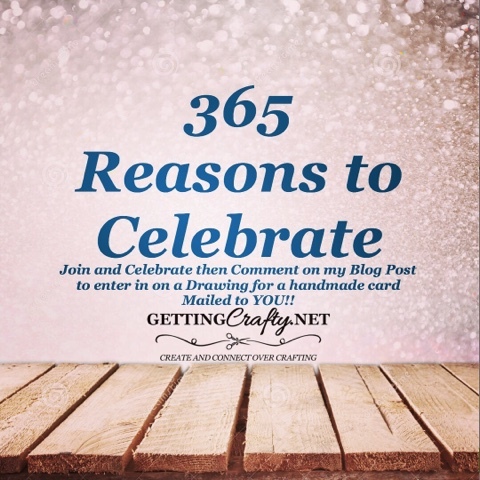 Celebrate life with me and our fun 365 Reasons to Celebrate crafting posts. Score Extra Crafting Fun, Free Stamp Sets, Amazing Discounts and MORE when you grab the Starter Kit and Join the Getting Crafty Family! 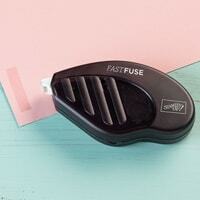 I adore the new and upcoming Stampin' Up! Main Idea Book and Catalog, Occasions and Sale~A~Bration catalogs.. it is also the Best Time of Year with Free Stamp Sets, Kits, Bundles and MORE! 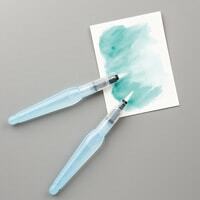 Unlimited FREE Stamp Sets with qualifying orders (every $50 pick any Free Sale A Bration stamp set or kit!). Starting January 3rd - grab the best deal in town and join the Getting Crafty Family and gain a wonderful group of ladies who craft from afar and close, but the Starter Kit is LOADED - Pick Any $125 in product for ONLY $99 and Free Shipping PLUS Any Two Stamp Sets (no price limit!) for FREE - WOW!! Create with us in-person and on-line with our full line up of crafting classes and groups. Great Cards, buttercups have always brighten my day. I am going to need to get this set.